From the Attitude Foundation. Image: Dr George Taleporos and Dani Di Toro from the Wheelchair Users episode of You Can’t Ask That(ABC TV). The best way to shatter a disability stereotype is to let the people with disabilities do it for you. The ABC television series You Can’t Ask That provides a forum for doing just that. The format of the program is very simple. It is people fronting the camera with no backdrop, studio sets or other scenery to distract you. They read out questions sent in anonymously by the general public and provide their answers, in their own words. 1. It’s not just about disability, although people with disabilities are well represented. That shows that stereotypes and lack of understanding extends to a range of people. 2. The questions are honest, not politically correct and get an honest answer, sometimes showing that there is often no straight-forward answer about some issues – like should short statured people use their small height as a means to earn money? 3. The program is long enough to allow a range of range of questions and answers to give a full picture of a person’s life experience. That takes it beyond mere curiosity to seeing a well-rounded person with the same aspirations, frustrations and needs as everybody else. 4. By focussing on a different area of disability in each episode (e.g. blindness, wheelchair users, short statured people, facial difference, Down syndrome) it shows the massive range of disability within a “category” and how different the experience of each person is. This helps to show that people with disabilities are not just a “condition”. 5. The people with disabilities are identified at the end, along with which state or territory they live in. This reinforces that they are real people, living real lives. 6. It helps to educate the general public about what is okay to ask and acceptable ways to deal with different types of disability. Always it’s about treating the person as a person, not a disability – just like how you want to be treated. You Can’t Ask That screens on ABC1 on Wednesdays at 9pm. JACKSON, Miss. 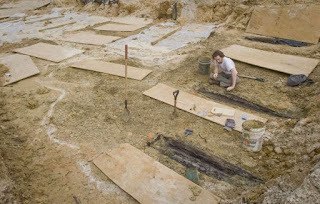 — Experts estimate up to 7,000 bodies are buried on the University of Mississippi Medical Center campus. They are former patients of the state’s first mental institution, called the Insane Asylum, built in 1855, and underground radar shows their coffins stretch across 20 acres of the campus, where officials have wanted to build. Now UMMC is studying the cheaper alternative of handling those exhumations in-house, at a cost of $400,000 a year for at least eight years. It also would create a memorial that would preserve the remains with a visitors center and a lab that could be used to study the remains as well as the remnants of clothing and coffins. Ralph Didlake, who oversees UMMC’s Center for Bioethics and Medical Humanities, believes the lab would be the first of its kind in the nation — giving researchers insight into life in the asylum in the 1800s and early 1900s. The Mississippi Lunatic Asylum included a main building and several wings. Didlake, Zuckerman and others have formed the Asylum Hill Research Consortium, made up of anthropologists, archaeologists, historians and even an expert in dating the wood of the coffins. It was the consortium that developed the memorial/visitors center/lab plans. Asylum's historyMississippi’s first mental institution became a reality when reformer Dorothea Dix rallied support among state lawmakers to fund construction of the $175,000 asylum, completed in 1855. Before the asylum, those suffering from mental illness were chained in jails and even attics, said Luke Lampton, chairman of the state board of health. After the Civil War, the facility expanded to house 300 patients, and the area became known as “Asylum Hill,” a neighborhood that included houses, a school and Cade Chapel Missionary Baptist Church, a church for former slaves. At its height, about 6,000 patients stayed at the asylum, and the facility provided many jobs to the area. When the university began work in 2014 on a parking garage east of the dental school, underground radar revealed 1,000 coffins. More radar work revealed more coffins. Didlake said current estimates put the number as high as 7,000. The consortium is hoping grants can make it possible for other researchers to join the study, he said. Karen Clark of Clinton says her great-great-great grandfather, Isham Earnest, is believed to have died at the Mississippi's mental institution between 1857 and 1859. Karen Clark of Clinton would like to see a grant given to collect DNA from all the patients. “It would make these people identifiable if family members came forth,” she said. She is willing to donate her own DNA to see if it matches her great-great-great grandfather Isham Earnest. The War of 1812 veteran moved to Neshoba County in 1842, was ruled “insane” in the 1850s and is believed to have died at the asylum between 1857 and 1859.